3. 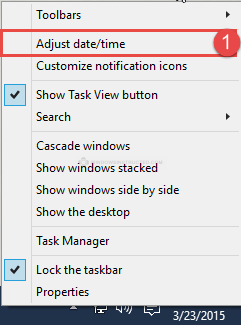 Make sure the time and date is set correctly, then click on OK.
4. Click on the tab, Internet Time and make sure the following error is NOT shown. If it is, then please see our guide on how to fix it. Now make sure the date and time match the time zone you are in, if it’s correct then you can continue with the next step, if it was indeed wrong, then correct the time and try to apply the updates again. Still having the 80072F8F error occur when you try to Update Windows? Then we might have another guide you can try! Check out our comprehensive Windows Update Troubleshoot guide here, it helps you trough some more steps, to find and solve your problems.